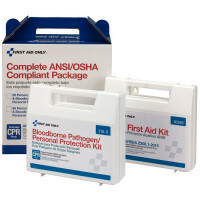 Many industries require both first aid and bloodborne pathogen supplies to be present at the facility. 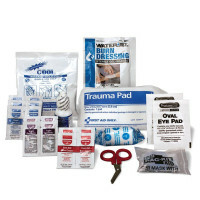 What could be more convenient than having two kits containing these supplies in one bulk package? 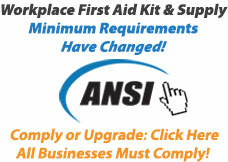 Our ANSI & OSHA Compliance Packages do just that for you, and meet the current standards set forth for First Aid and Bloodborne Pathogen Kits. Simply choose the package suitable for your company, based of the number of persons it will be servicing.